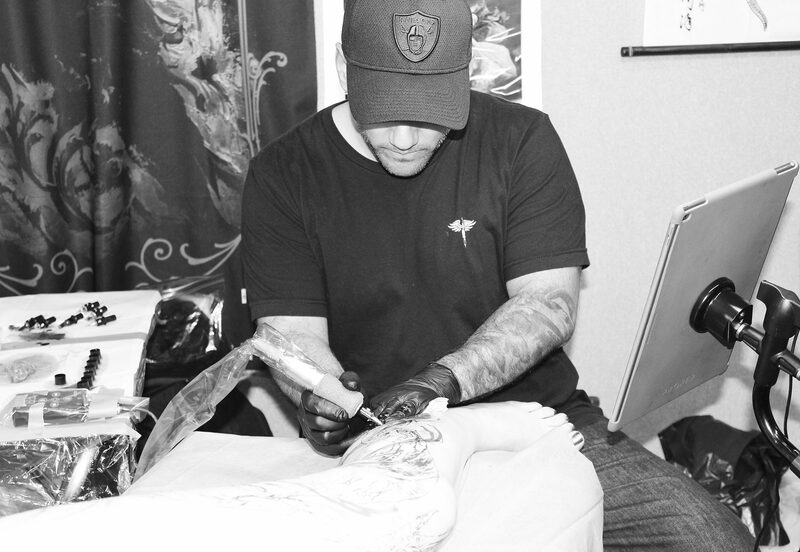 Known as the “Super Bowl” of tattoo conventions, stated by renowned artist Carlos Torres who’s traveled the world for tattooing events for the last two decades and has been to this one seven times. 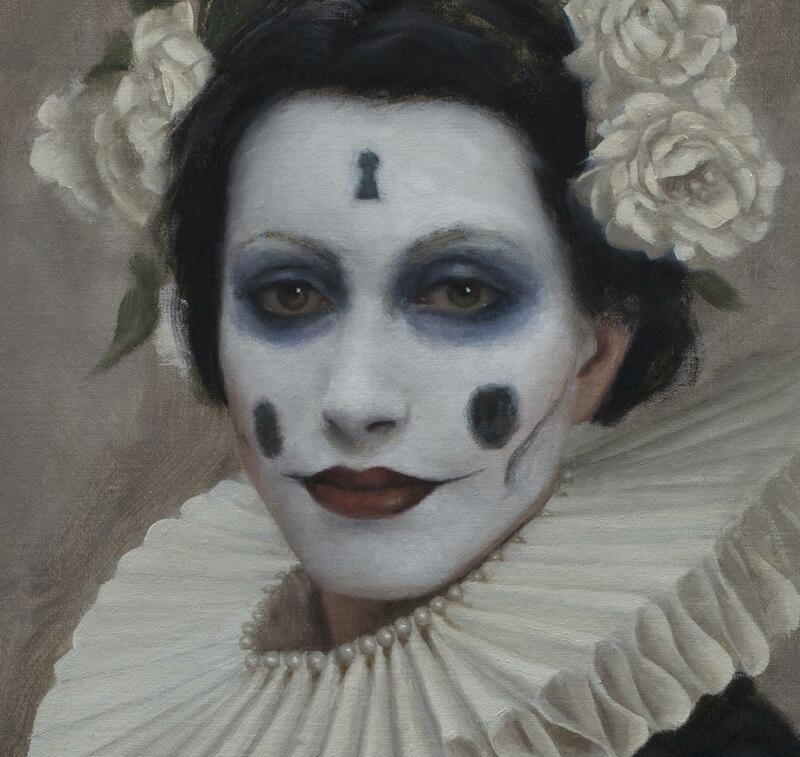 (It is invite-only.) The London event is exactly that—the Super Bowl! 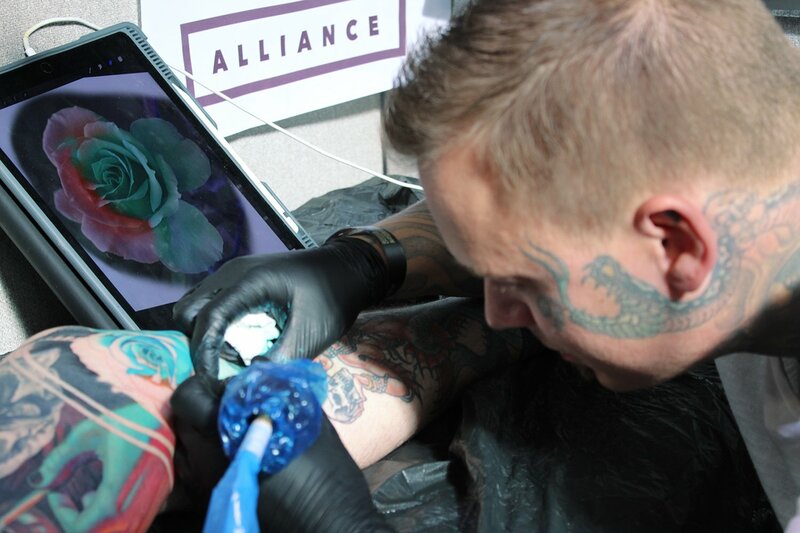 Already in its 13th year, it prides itself on bringing the top talents from north, east, south and west of the map; joining artists for collaborative tattoos like Gakkin and Nissaco who worked on a torso piece, Ivana and Jessi Manchester on a client’s thigh. 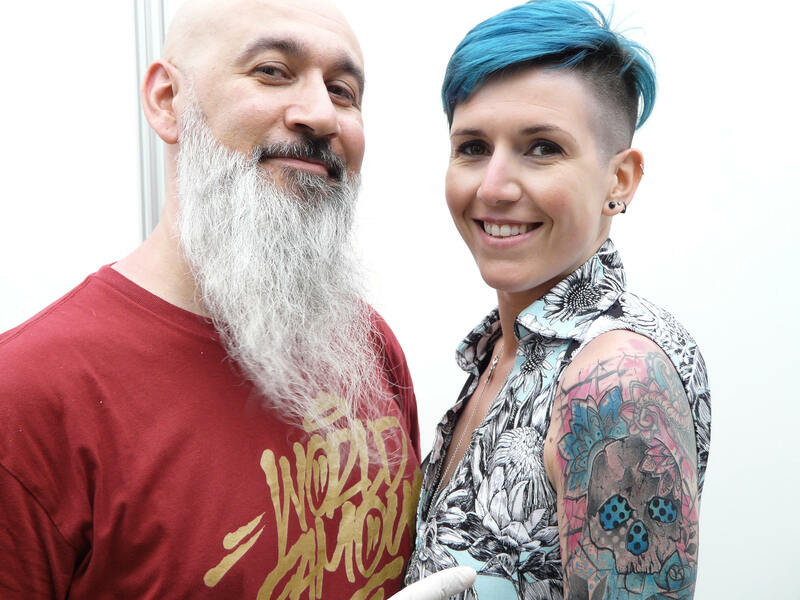 It is a feast for the eyes when entering The International London Convention at the Tobacco Dock—both the epic physical space as well as the hundreds of tattooists who all deserve a mention in this article. 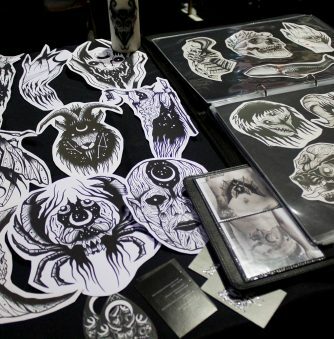 But to name a few that were there: Nikko Hurtado, Victor Portugal, Denis Sivak, Aimee Cornwell, Niki Norberg, Grace Neutral, Jay Freestyle, Horikazu, Paul Talbot, Oliver Peck, and Ami James. 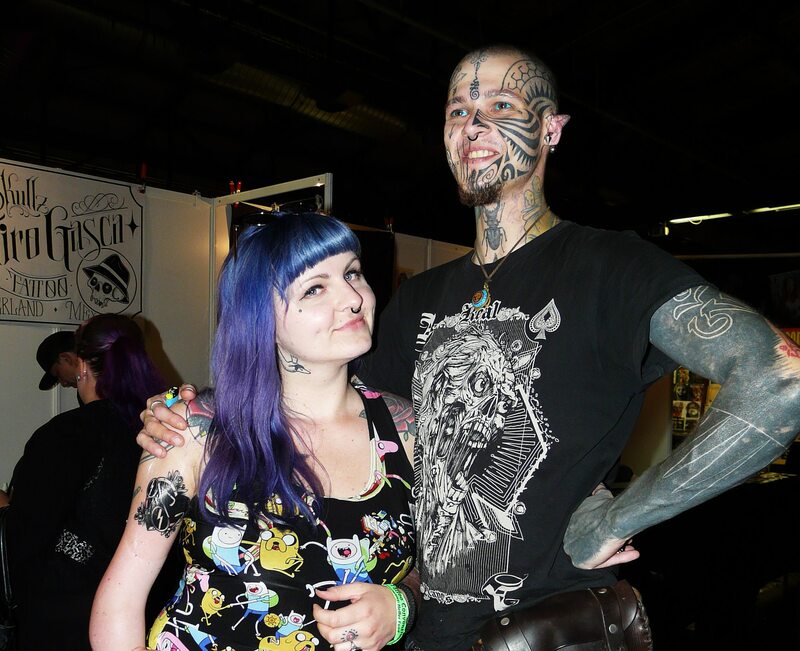 And even tattooists who normally don’t do conventions (such as Lewisink and others), have been invited to come and enjoy the experience. 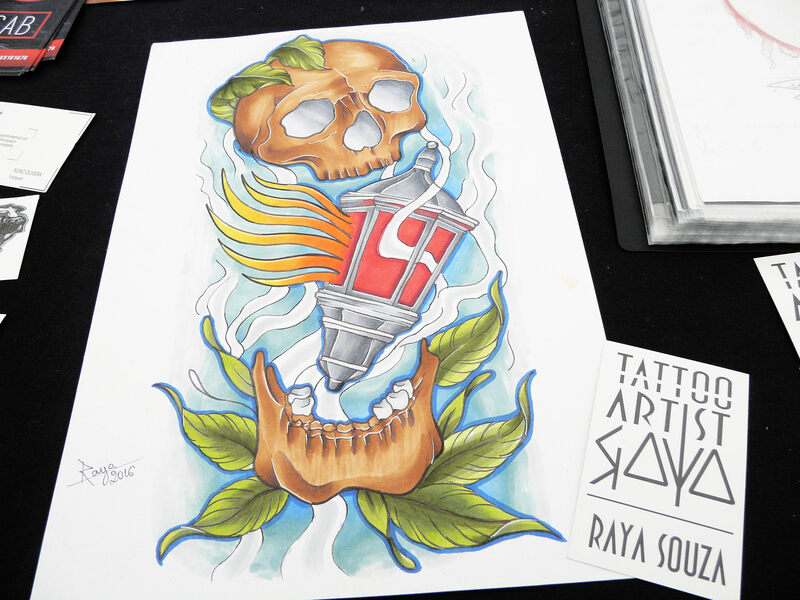 The event is highly organized by Miki Vialetto and his team from TattooLife magazine—to create the best experience for the spectators and artists—showing tattoo innovation, uniqueness, and a wide-diversity of art styles. 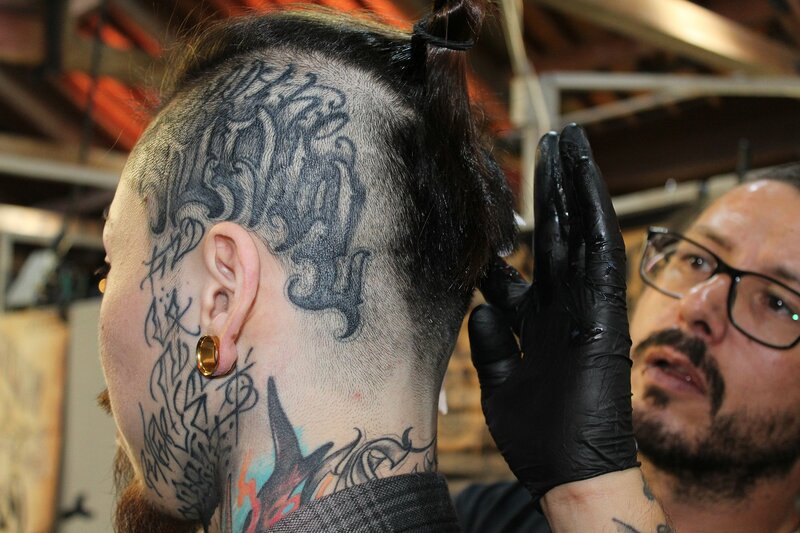 Above: Ricardo Cassese (from Thy Gallery Studio) shaves the head of his client to prepare for tattoo preparation. The vivid colors of the rose are impressive in-person. 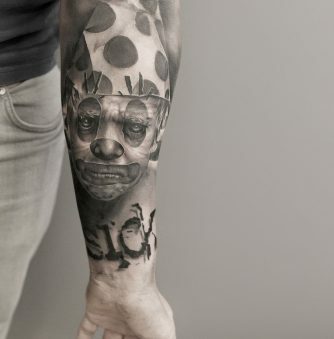 Tattooing by Phatt German. 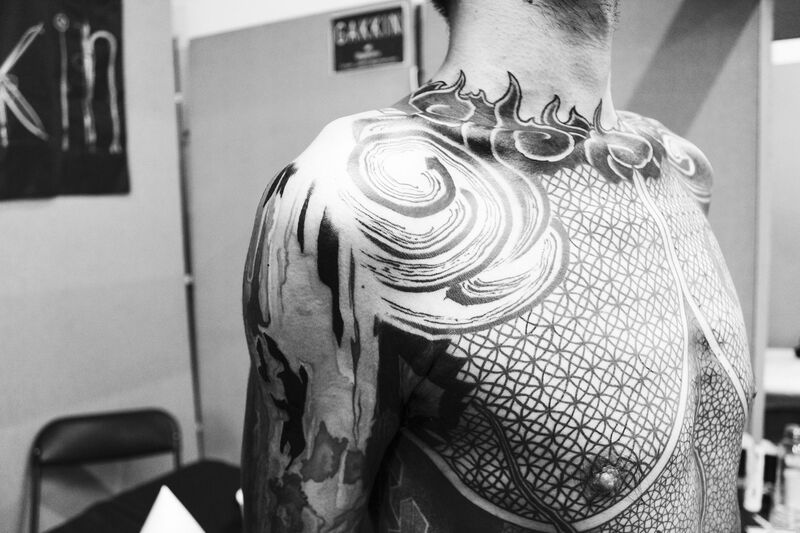 Japanese artists Gakkin and Nissaco are the perfect pair to do a collaborative torso tattoo. 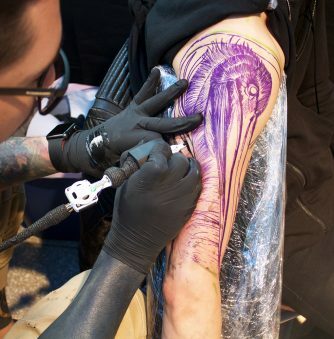 Incredible handtapping by Durga Tattoo. 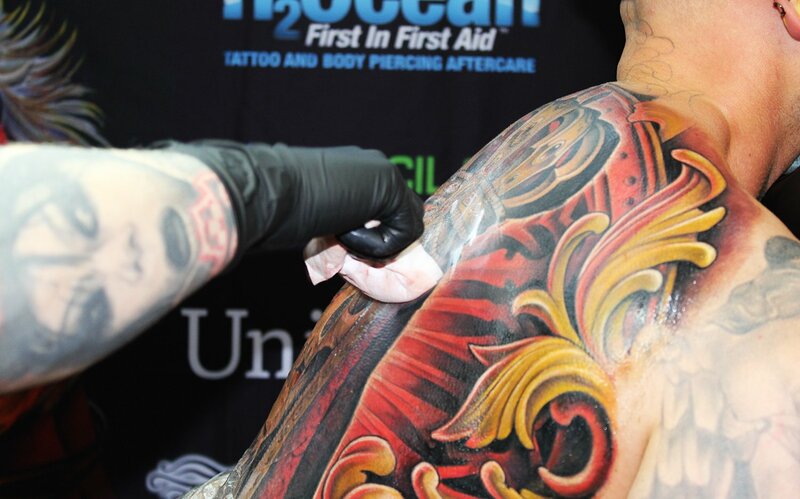 Luke Palan’s freehand designs are a plus for his clients, as he composes the work to best fit their bodies. 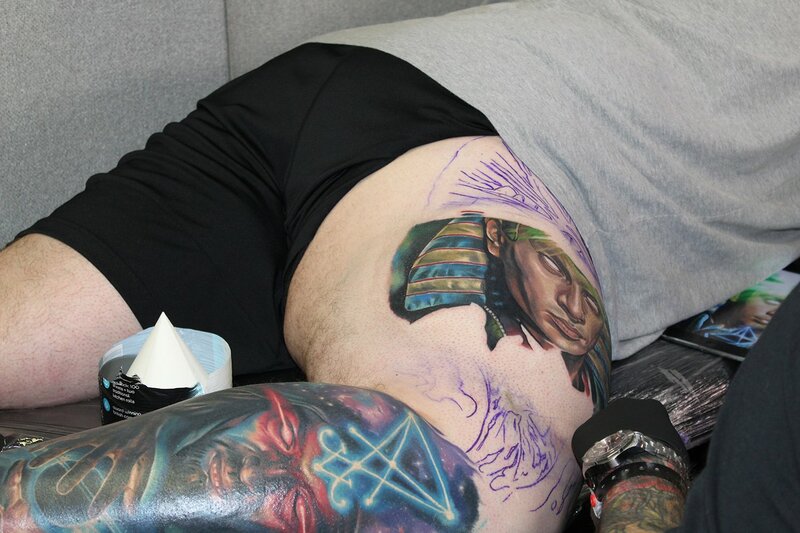 UK tattooer Jordan Croke is best known for his bright color realism. 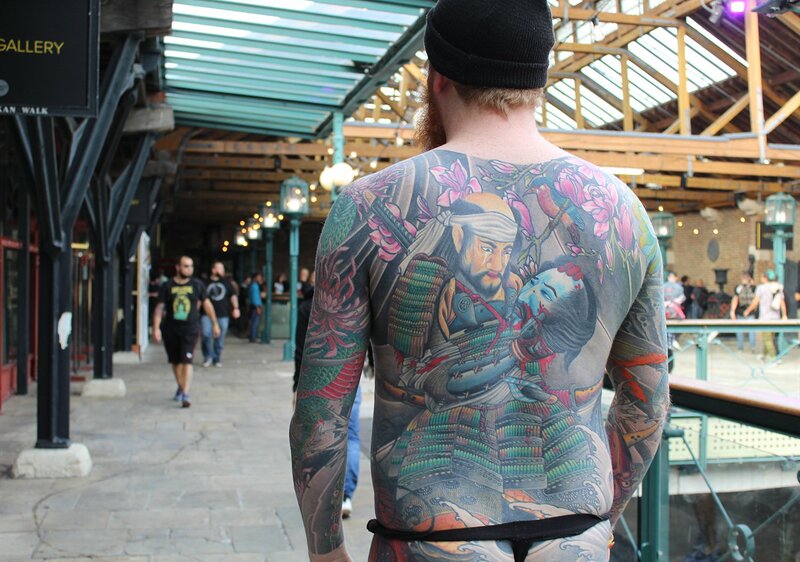 A London convention spectator showing his full body suit. 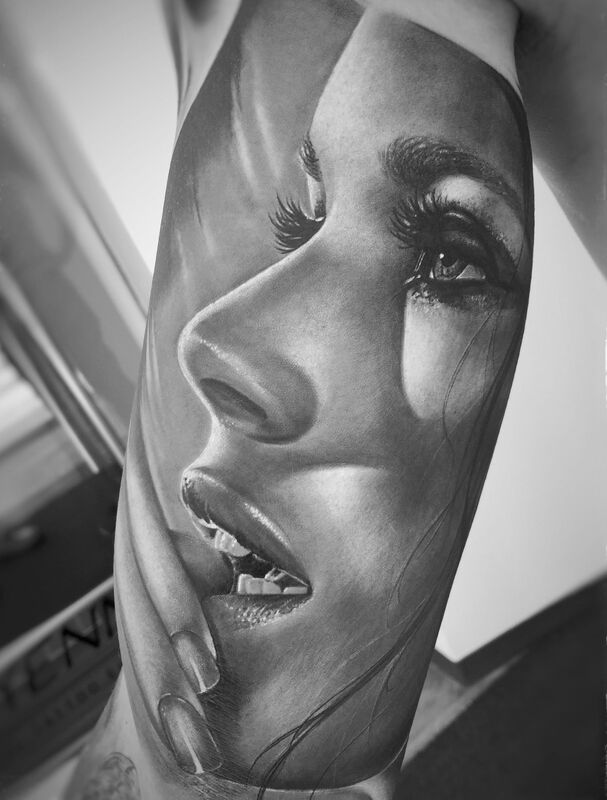 American tattooist Carlos Torres spent 3-event-days inking the leg of model Jo Crow. 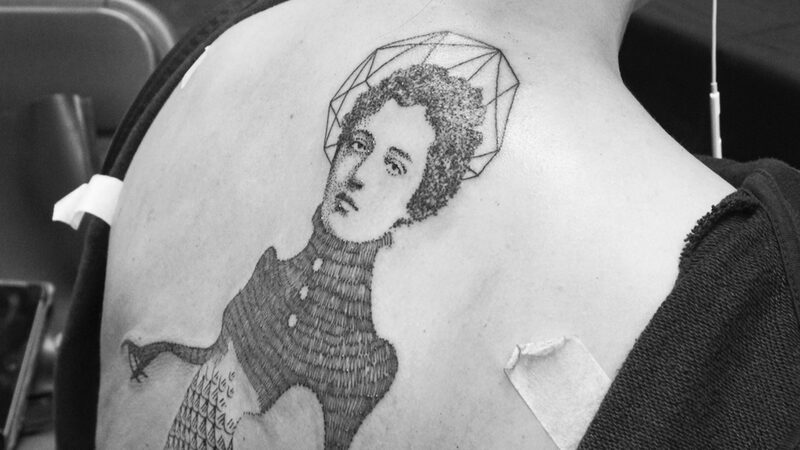 A close-up of the collaborative body-art piece by Ivana and Jessi Manchester. 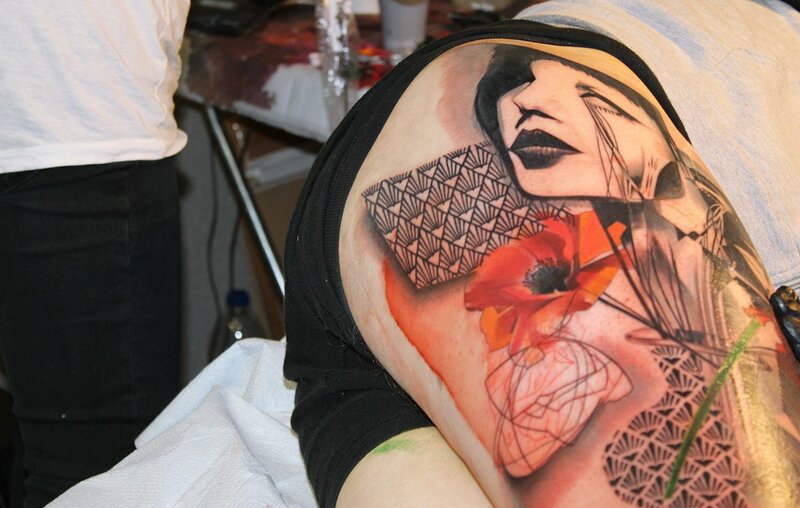 Another shot of tattooers Ivana and Jessi Manchester at work. 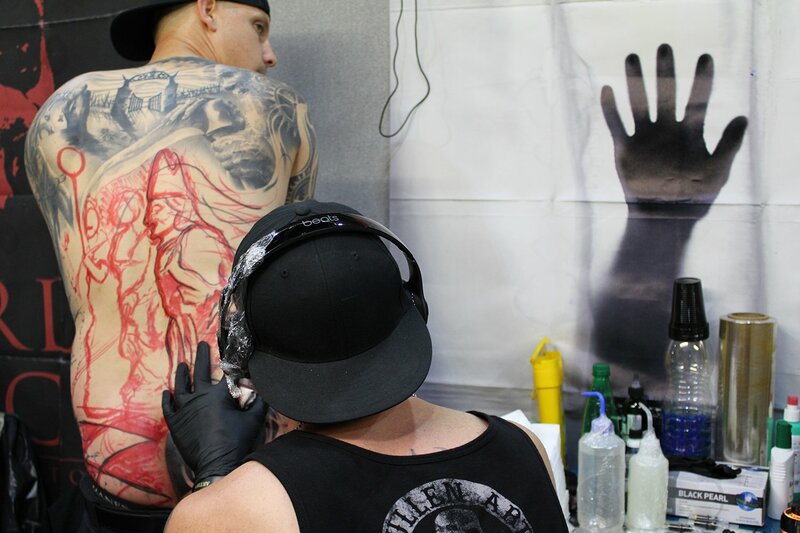 Always at an event to impress, Julian Siebert another extraordinary back piece. Friendship and community is a big part of the event. 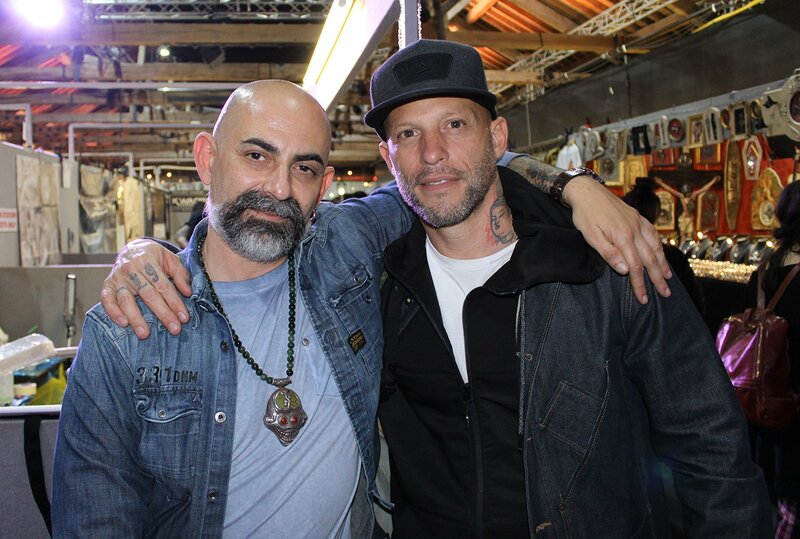 Here we see organizer Miki Vialetto with his buddy Ami James. 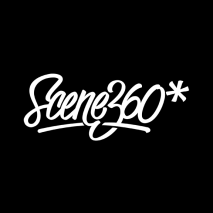 The old school way is very fascinating to watch. 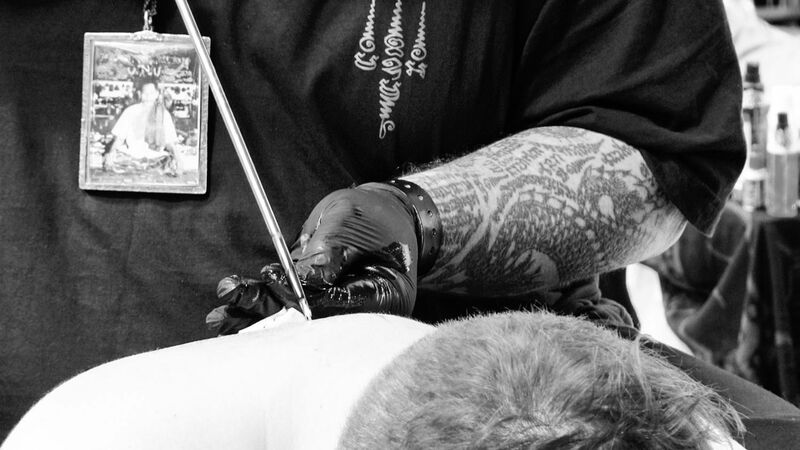 Handpoking by Matthieu Duquenois from Thai Sacred Tattoos. 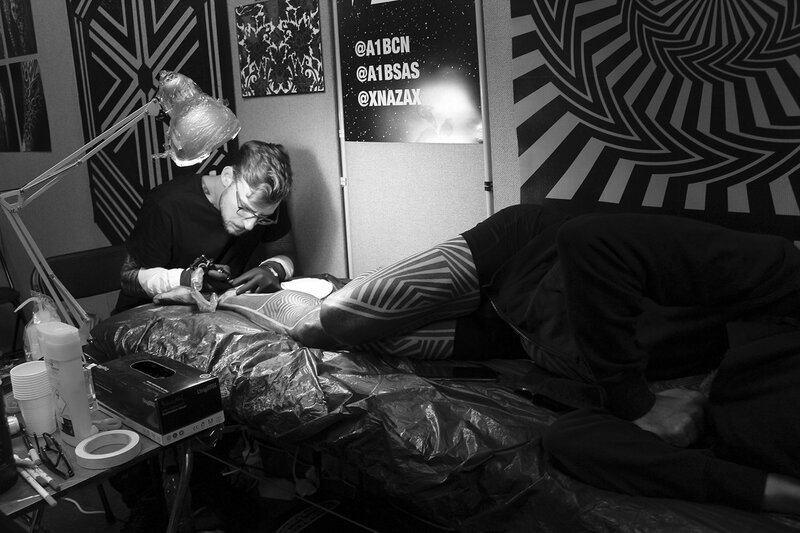 Lewisink completely focused on finishing Eric’s body suit, now tattooing his feet.